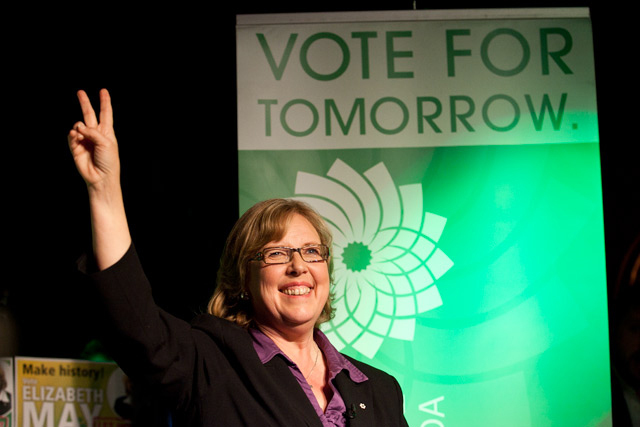 WHAT: “We are not giving up on democracy.” That was Green Party leader Elizabeth May‘s rallying cry yesterday, when she spoke to a crowd of 200–300 supporters in downtown Toronto. 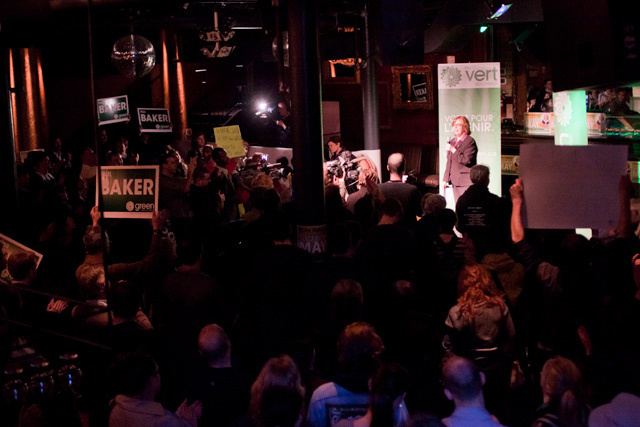 There to protest May’s exclusion from the televised leaders’ debates, the crowd greeted her speech with chants of “let her speak!” May’s upbeat speech lasted about 20 minutes, and touched on key Green Party platform planks, as well as the media consortium which decided to keep May from the debates. Photos and reporting by Dean Bradley/Torontoist.